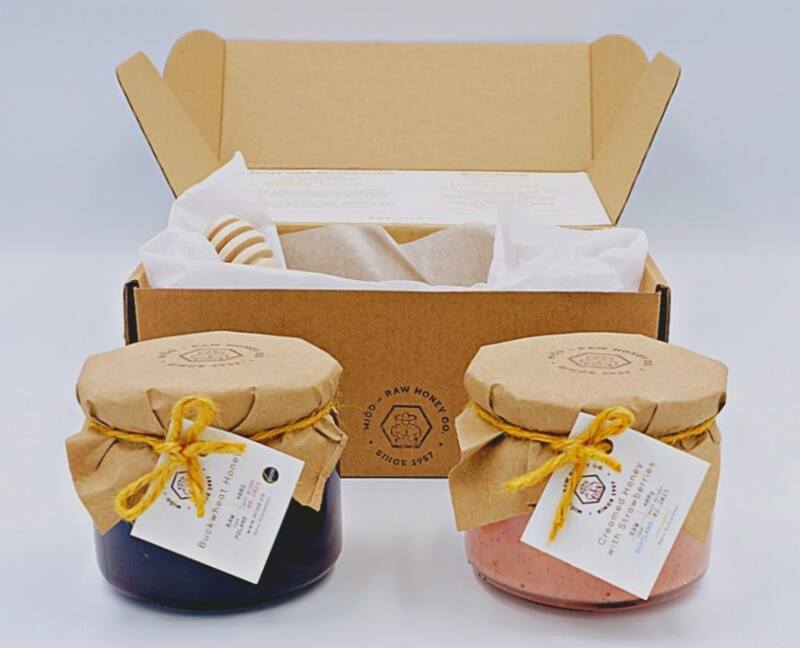 It consists of 2 x 400g jars of the most delicious raw honey, a wooden honey dipper and a recipe for Honey Cake. 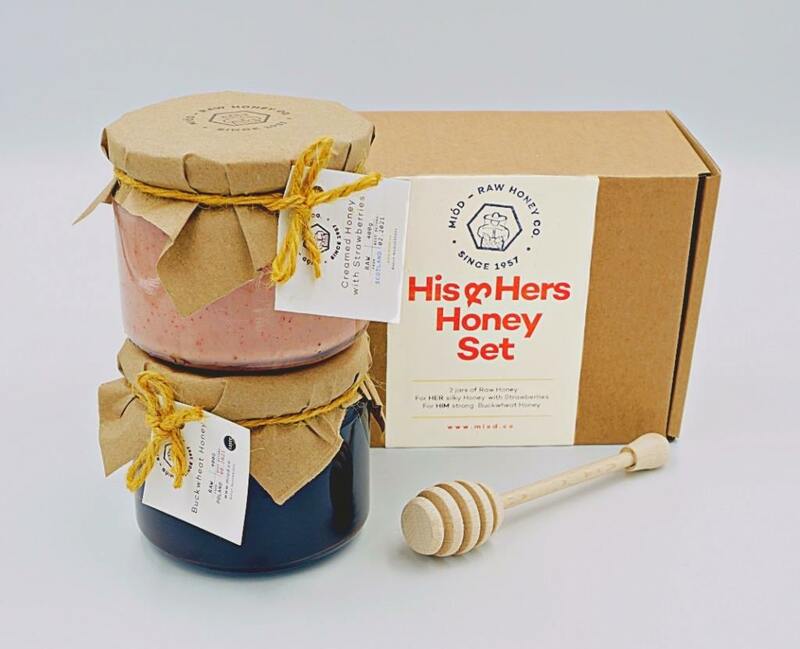 For Her smooth and silky creamed rapeseed honey with dried Strawberries. 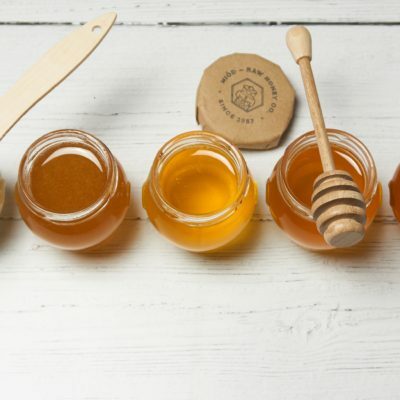 For Him buckwheat honey, dark and strong with a hint of cocoa. Great hangover cure. Good for men. Particularly in Eastern European traditions, the making and gifting of honey cakes were associated with rituals of courtship and romance. 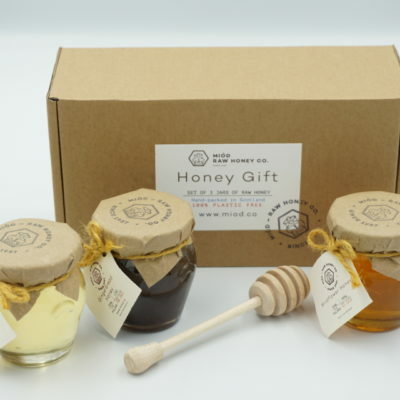 This beautiful hand-packed raw honey gift set is sure to make anyone smile!